Sign Supplies Are Go! 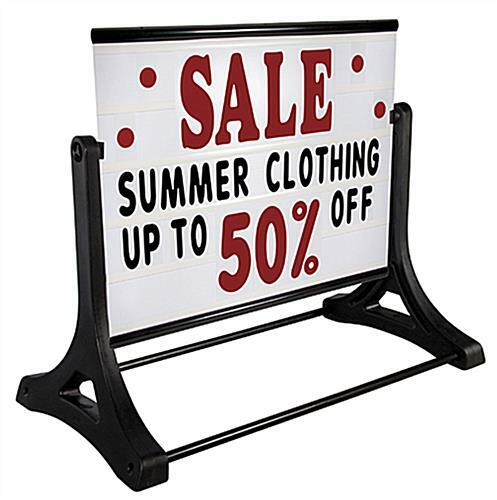 These Outdoor Sign Supplies With Extra-Wide Letter Boards Can Be Customized With Included Letter Kit To Grab The Attention of Customers Easily! Order Today From Our Quick-Ship Inventory! 24" x 36" 29" x 45"
Sign boards, also recognized as communication boards, are preferred by eateries and retailers because they are flexible and sharp looking! 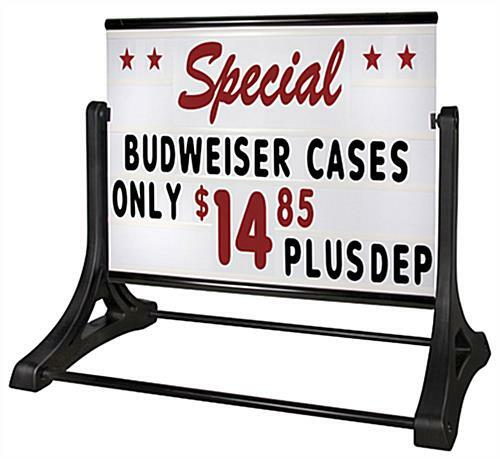 The 1.5" diameter frame rail at the topside of these adjustable sign supplies with plastic base adds stability and a stylish appearance. The pavement signage' legs may be loaded with sand for extra strength in a windy climate. The sign supplies are affixed on movable joints that let the letter board swing. These pavement signs are durably constructed for continued usage outside. 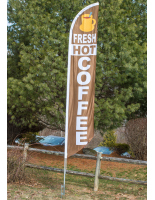 These sign supplies bring in new sales! 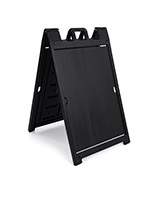 These communication boards have various deluxe characteristics most pavement racks do not have. 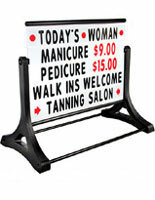 Pavement signage, deluxe sign supplies utilize 5" adjustable lettering. 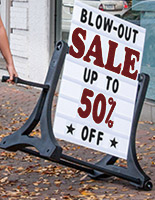 Pavement signage with adjustable letters lets you create constant updates for your media content. In addition, two giant 10" "SALE" and "SPECIAL" headers are provided. 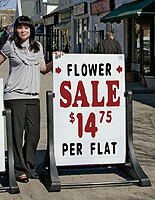 These sign supplies are double sided for the ultimate word in advertising exposure! Measurements of 60"w x 48"h x 30"d make this pavement signage larger than most. 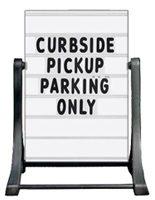 In stock sign supplies with big measurements, such as communication boards and pavement signage, guarantee that clients stop and notice your signage!